Jade Lewis & Friends collects statistical information regarding the use of its Internet site. This collection includes your computer's Internet Protocol (IP) address and the date and time of your visit. This information is collected to provide Jade Lewis & Friends Inc. with information about the use of its site and to help it maintain and develop the site to provide better information to users. You can prevent this collection of information by disabling your web browser from accepting cookies. 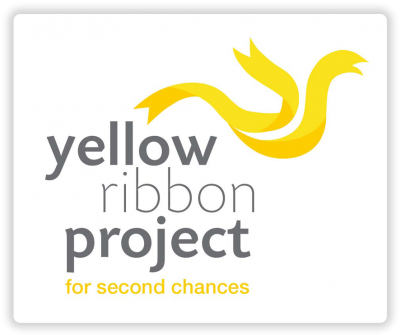 This will not prevent you from accessing the Yellow Ribbon Project Internet Site; however it may prevent you from utilising all the features in the Yellow Ribbon Project Internet Site. You may be requested to provide Jade Lewis & Friends Inc. with personal information including your contact details and e-mail address so that we can send you a newsletter, receipts for donations or further information about Yellow Ribbon Project opportunities or if you want to have access to specific services for registered Users, Volunteers or Members. Personal information will only be requested if it is necessary to provide a service to you. In this instance you should read Jade Lewis & Friends Inc. Use and Disclosure policy in clause 3.
providing access would reveal the intentions of Jade Lewis & Friends in relation to negotiations with you in such a way as to prejudice those negotiations. Where information about you is found to be incorrect, incomplete or out of date, Jade Lewis & Friends Inc. will correct, update, erase or amend the information as appropriate. Jade Lewis & Friends Inc. acknowledges that security is important. Jade Lewis & Friends Inc. stores your personal information in secure environments to safeguard it from misuse, disclosure, alteration or destruction. By using the Yellow Ribbon Project Internet site you agree that he Internet is inherently insecure. Jade Lewis & Friends Inc. will use its best endeavours to secure your personal information and cannot provide any definitive assurance regarding security of personal information. By accessing the Yellow Ribbon Project Internet site, you acknowledge that Jade Lewis & Friends Inc. will not be liable in any way in relation to any breach of security or any unintended loss or disclosure of that information.